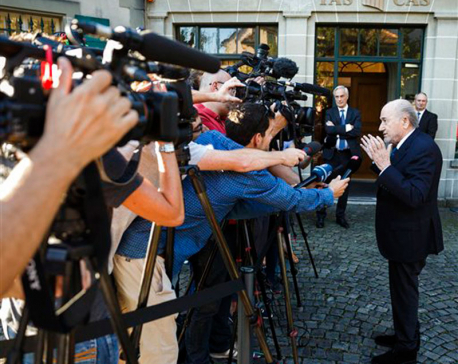 LAUSANNE, Aug 25: Former FIFA president Sepp Blatter arrived for his appeal hearing against a six-year ban from football on Thursday, pledging to accept the verdict of the Court of Arbitration for Sport. KATHMANDU, Aug 25: National league champion Ruslan Three Star Club has progressed to the final rounds of the AFC Cup play-off qualifiers as Group B champion. 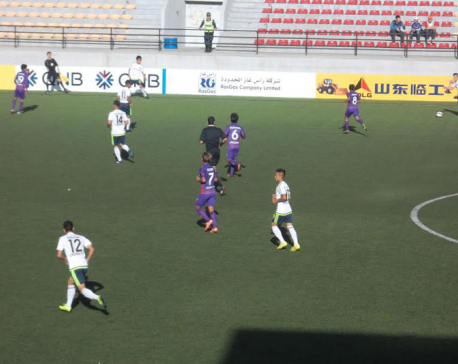 Three Star's entry to the next round was confirmed after home team Erchim FC of Mongolia overcame Cambodian outfit Nagaworld 1-0 in the last match of the group on Thursday. 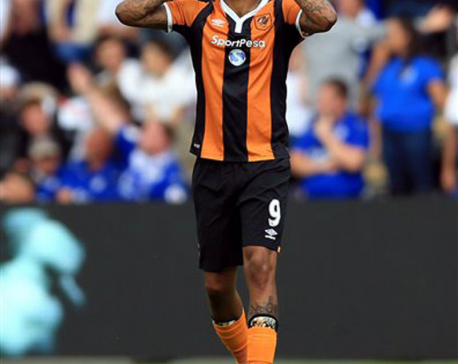 MANCHESTER, Aug 25: Hull started the season as the English Premier League's "crisis club," regarded by some as the worst-prepared team ever to begin a top-flight campaign. 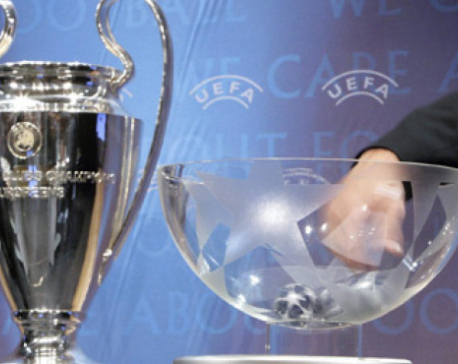 MONACO, Aug 25: Surprise English champion Leicester is in the pot of top seeds for the Champions League group-stage draw on Thursday despite being ranked 31st of the 32 teams by UEFA. 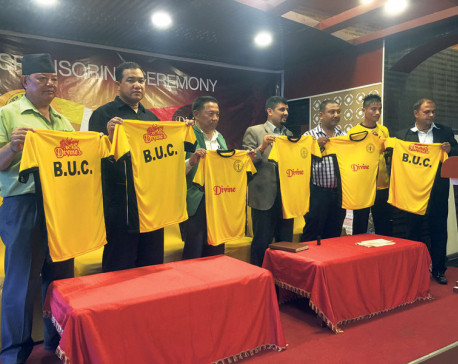 KATHMANDU, Aug 25: Divine Wines, a product of Shree Mahakali Wine Pvt Ltd, has signed a record sponsorship deal with B Division outfit Boys Union Club in the capital on Wednesday. KATHMANDU, Aug 25: First Brothers Badminton Tournament is set to begin in Kathmandu on Thursday. Brothers Sports Hall, Gangata Youth Club and Dhorpatan Club are jointly organizing the four-day tournament on the occasion of Krishna Janmasthami. KATHMANDU, Aug 25: Nilesh Shrestha of Boxing Fitness and Prerak Lama of Thankot have progressed to the quarterfinals in 60 kg of the 4th Nationwide and First Novice Boxing Tournament. KATHMANDU, Aug 24: Ranipokhari Corner Team (RCT) made it two out of two wins after a 2-1 victory over Khumaltar Youth Club in the Martyrs Memorial B Division League football tournament played on Wednesday at APF football ground in Halchowk, Kathmandu. KATHMANDU, Aug 24: Japan Football Association (JFA) Goalkeeping Course began on Wednesday at the ANFA Complex, Satdobato on Wednesday. LONDON, Aug 24: Neymar appears to have reignited his relationship with former flame Bruna Marquezine.